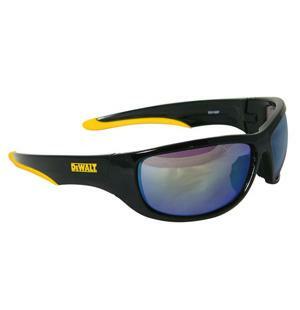 Safety Glasses Dominator Yellow Mirror Lens DPG94-YD have rubber tipped temples that provide a non-slip comfortable fit and the full frame, with larger lens, provides excellent coverage. Integrated rubber nosepiece for longer, comfortable wear. Meets or exceeds ANSI Z87.1 Standards.